Research shows Mulberry Leaves is a super food with preventative effects against adult diseases such as high blood sugar, high cholesterol, hypertension and much more. The history of man utilizing the Mulberry Leaf for its unique healing properties dates back over 5,000 years. Commonly known as the food source for silkworms the Mulberry Leaf is considered one of the oldest herbs used by man. 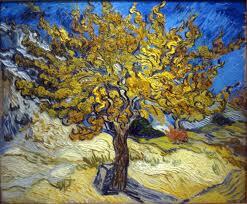 The Mulberry Tree was central to life in ancient times, both in the East and West. It has been used throughout Asia, Europe, Middle East and India as a healing food ingredient and as a traditional medicine to restore health. Its high source of vitamin and mineral content provide miraculous ability to boost vitality and insure wellness. It has been celebrated by Emperors, poets, artists and depicted in various literary compilations. Described in legends dating thousands of years in Chinese mythology the Mulberry Tree is considered “The Tree of Life“ and “The Herb of Immortality“. Scholars have debated on the mistranslation of the Biblical referenced Sycamore tree to have actually been the Mulberry Tree. It has its findings in Biblical references such as 1Maccabees; Isaiah and Ezekial to name a few. Also known as “Toot” in Hebrew, Hindu and other Middle Eastern Cultures, all parts of the Mulberry Tree (berries, leaves, twigs and the root bark) are utilized for medicinal and commercial purposes.